The honey locust grows with thorns to protect it but its little round leaves are so sweet. Stainless steel is an environmentally friendly metal that is primarily made up of recycled materials. Steel version comes with sterling silver chain and components. Gold version is 14k gold plated steel with 14k goldfill chain. Black version is a matte black oxide plating on steel with 14k goldfill chain. 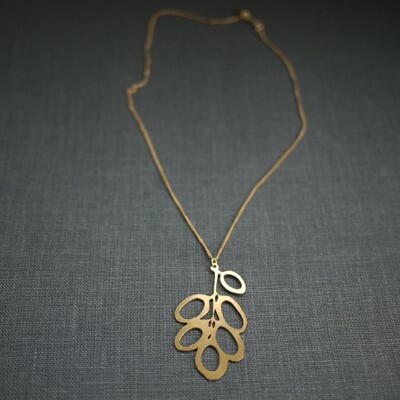 Also available in rose gold plated steel with 14k yellow goldfill chain.